Get your bowling team together and have a blast at our fifth annual Strike & Spare Bowling Tournament to improve the homes and lives of homeowners in need. 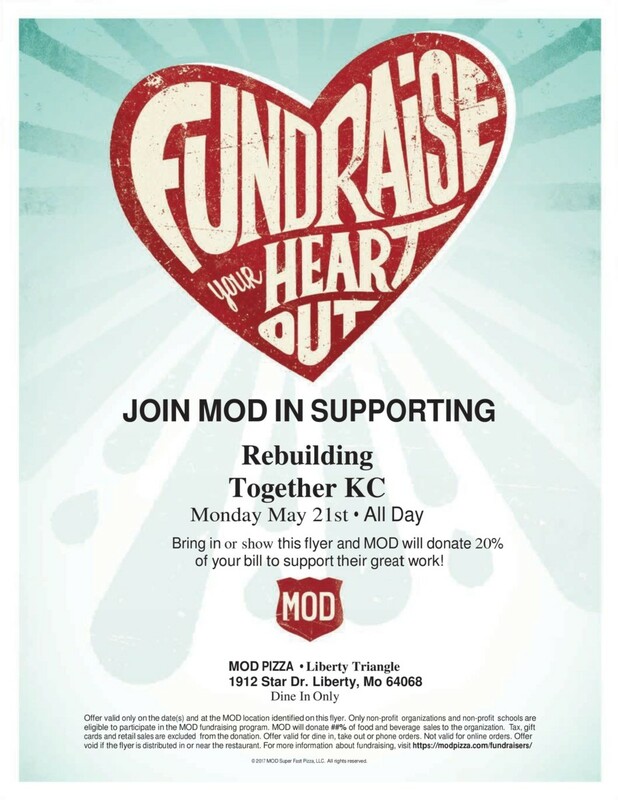 All proceeds support RTKC in eliminating unsafe, inaccessible, or deplorable living conditions through safety modifications and home repairs. Please join us for this important fundraiser supporting our mission! The team displaying the most spirit at the Tournament will be awarded the Team Spirit Award with prizes and a traveling trophy. Teams wearing these specialty shirts will have an added advantage for claiming this coveted award. Order yours today! 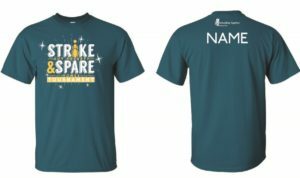 $11 from each T-Shirt purchase will be donated to the 5th annual Strike & Spare Bowling Tournament. Taking discarded items and giving them new life. The RT Store gets its own spotlight this weekend as a show feature at the KC Remodel + Garden Show. The RT Store, and its parent organization Rebuilding Together Kansas City (RTKC), challenged 10 local craftsmen and artisans, to upcycle items from the RT Store. “Upcycle” is a term that refers to transforming a used item, which some people might think of as junk, into something with value and purpose. Rebuilding Together KC’s booth in the American Royal Center will display and sell these upcycled gems. You can see what they’ve created and think about what items you own that could be upcycled and repurposed! Volunteers will also be on hand to tell the story of neighbors helping neighbors — by volunteering to repair their homes. The KC Remodel + Garden Show will be open from 10 a.m. to 9 p.m. Friday and Saturday, and 10 a.m. to 6 p.m. Sunday. 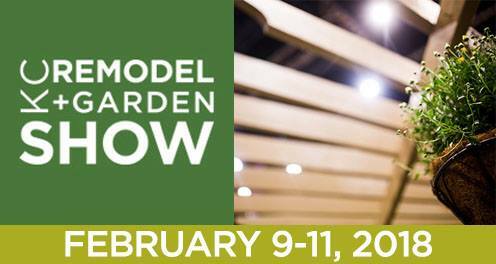 Admission is $10 at the door; get a $3 discount by using the promo code REBUILDING when buying online at www.kcremodelandgarden.com. This week, while supplies last, the RT Store will give away a KC Remodel + Garden Show ticket with each purchase. The RT Store is a home improvement thrift store dedicated to recycling, reusing, and re-purposing housing materials. The store accepts donations of new and used materials, and encourages anyone to purchase from the store. 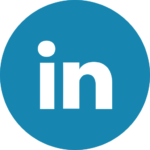 Inventory includes modern and vintage building materials, cleaning supplies, tools, hardware, lighting, plumbing fixtures & appliances, as well as some architectural salvage and furniture. As an organization based on green principles, the RT Store enjoys fostering efforts to recycle, reuse, and repurpose housing materials. All proceeds support RTKC community service programs, providing sustainable revenue, as-well-as much needed equipment, supplies, and materials for home repairs and safety modification projects to improve the homes and lives of our neighbors in need. The RT Store is located at 1908 Plumbers Way, #300, Liberty, Missouri 64068. Open to the public, hours are Monday-Friday 9:00 am – 5:00 pm, and Saturday 9:00 am – 12:00 noon. Rebuilding Together Kansas City’s aim is to eliminate unsafe and deplorable homes in the KC Northland. In doing so, our neighbors are able to stay in their homes and avoid homelessness. Seniors are enabled to age in place and to live longer, better lives, said Stacie Bratcher, development director. “With the help of over 400 volunteers, what we do is basically go in and make costly repairs for low cost or no cost,” she said. The organization will have information at the KC Remodel + Garden Show on its approach to tackling homes needing repair, as well as the benefits of safety modifications for seniors, and other community needs and opportunities. 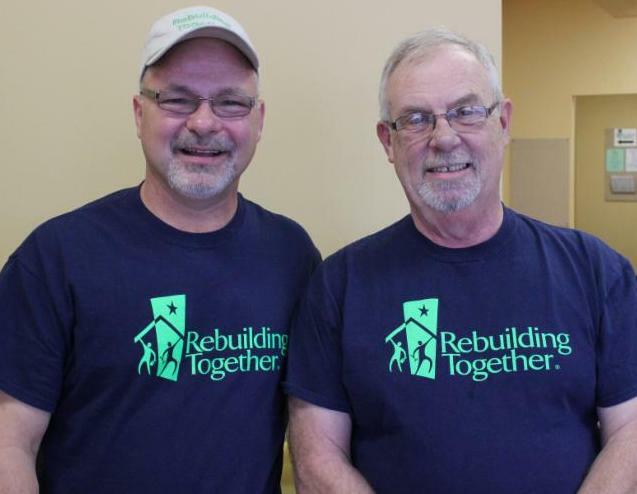 “Partnering with the remodel and garden show is a great way to spread our mission and gain volunteers,” said Clay McQuerry, executive director of Rebuilding Together KC. “We get to meet so many members of the community. McQuerry said Rebuilding Together KC had an economic impact of $239,582 last year. Since 2001, 5,859 volunteers have repaired 770 homes for a total market value of $2,296,890. to man the RT Store booth during the KC Remodel + Garden Show! The RT Store will have a large booth at the show to display and sell our Up-Cycle Challenge projects and share our mission, so we could really use your help hosting the booth. The added benefit of helping in our booth is that you will get free admission to enjoy the show before or after your shift. We need several individuals to help make sales and chat with our booth guests during the three days of the Show. We have split the time into two hour shifts; spouses, family and friends welcome. Read more. If you are available to help, click here to sign up. ..you were a true blessing. Thanks to you, our Safe At Home project managers, and skilled volunteers, completed home safety modifications–ensuring safety and accessibility– on 100 residential homes for 173 residents including 113 seniors, 20 veterans, and 112 individuals with disabilities. 96% reported a decrease in falls with 94 falls reported BEFORE the modifications, and only 4 falls reported AFTER the modifications! Every day, your support makes aging-in-place possible for our senior neighbors. We continue to receive regular requests for home safety modifications all year around! Click here to see more 2017 project photos. RTKC Offices and the RT Store will be closed DEC 25 thru NEW YEARS DAY to spend the holidays with our families. Normal business hours will resume Jan 2, 2018. ..your help certainly made their lives easier and safer. 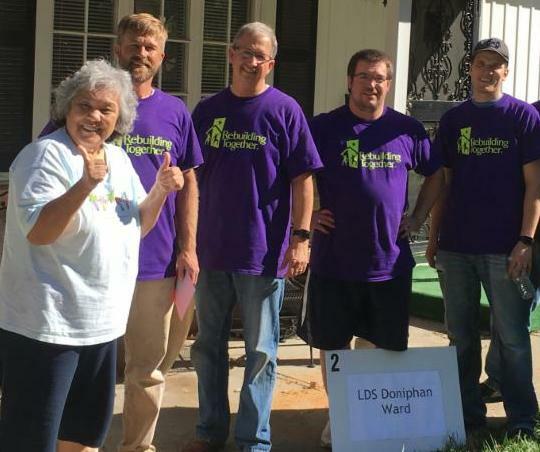 Thanks to you Rebuilding Day 2017 was a huge success! 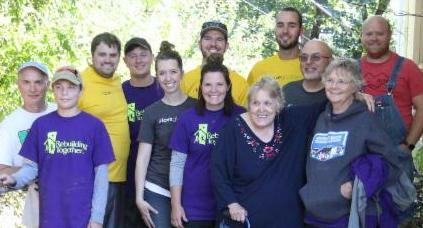 Nearly 400 volunteers completed home repair projects on 24 residential homes (and 1 non-profit facility) in just 1 day. Rebuilding Day is focused on eliminating unsafe and deplorable living conditions for homeowners who do not have the financial or physical means to complete the repairs themselves. These clients face unsafe or unsustainable living conditions that threaten their safety, health, and well-being. 100% rated the quality of work done by volunteer crews as Very Good. 75% agreed it was Not Likely they would have been able to complete the repairs with other resources, now or in the future, if the RTKC program did not exist. 42% agreed it was Possible to Very Likely they would have had to move from their home in the near future if RTKC’s services did not exist. 77% agreed the repairs made by RTKC Improved their home’s accessibility. 85% agreed the repairs made by RTKC Improved their home’s safety. Overall, 100% reported a Very Good impression of RTKC. Every day, your support makes positive results like these possible. Click here to read more highlights of our accomplished 2017 projects and services; and view before and after project photos to inspire you this holiday season. Save The Date: 2018 Rebuilding Day will take place on Saturday, October 6 with a kick-off celebration at 8:00 a.m., Pleasant Valley Baptist Church. We simply can’t do it without you. ..is not enough to say for what you did. Thanks to you over 580 volunteers completed 598 home repair projects on 126 residential homes (and one non-profit facility) for 232 Northland residents in 2016. On behalf of them, thank you for transforming their lives and restoring their dignity. In 2017 we received a record 170 applications for service. Though our volunteers and Project Managers are working hard to complete many more home repair projects before Christmas, we anticipate carrying a Waiting List of 35 into the new year. You see, even though we helped over 232 people last year, there are still many more in our neighborhoods and communities yet to be helped. Every day, your support makes stories like Vickie’s possible. We simply can’t do it without you. Your support makes a real, lasting, and transformative impact in the lives of those who are still in need. Click here to read about more of our accomplished 2017 projects and services, and to view before and after project photos to inspire you this holiday season. Largest International Day of Giving Back! We are excited to announce that Rebuilding Together Kansas City is participating in the year’s largest international day of giving back: Giving Tuesday! Following the popularity of shopping events, Black Friday, Shop Small Saturday and Cyber Monday, November 28th marks the holiday Giving Tuesday and kicks off the charitable giving holiday season. Why are we doing this and why Rebuilding Together? Rebuilding Together Kansas City is part of a national network of more than 140 affiliates around the country committed to providing a safe and healthy home for all of our neighbors. Over the past 30 years, the Rebuilding Together network has worked with nearly 4 million volunteers to repair almost 200,000 homes and community spaces, impacting nearly 6 million people. 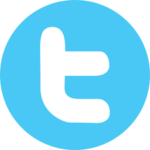 Help us do more in our community! While we have accomplished so much, the need is great. More than 2.9 million of our neighbors are living in inadequate housing. Swelling home maintenance costs are driving residents and families away from communities where they have lived for generations. Rapidly aging housing stock is ill-equipped to accommodate the needs of an aging population. Veterans are returning home from decade-long conflicts, many with service-connected disabilities, to a severe lack of affordable housing that can accommodate their needs. Children growing up in low-income communities are living in antiquated housing, being exposed to dangerous toxins that adversely affect their health and educational attainment over the course of their lifetimes. Support our community on November 28 by making a donation to RTKC — thru Facebook, use the donate button in the top right of our web page, or simply mail a check — to help meet our goal of $5,000. With your help we can strengthen the KC Northland. On this global day of giving Facebook and the Bill & Melinda Gates Foundation are matching up to $2 million of funds raised on Facebook for U.S. nonprofits. 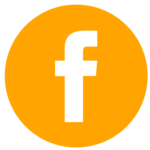 Facebook is also waiving all fees for donations made to nonprofits on Facebook this #GivingTuesday. If you have any questions about other ways to get involved, or to host your own RTKC fundraiser on Facebook, please contact RTKC Development Director, Stacie Bratcher. Thank you for your generosity this holiday season. There are many actions each of us can take to reduce our environmental impact and support a clean community. One of the easiest actions to take every day is to recycle. That is why Rebuilding Together Kansas City (RTKC) invites the community to visit the RT Store on Wednesday, November 15, 2017, from 9am-5pm, at 1908 Plumbers Way, #300, Liberty, Missouri in recognition of America Recycles Day, a Keep America Beautiful national initiative. Keep in mind that as a nation, we’re recycling and/or composting 34 percent of the 250 million tons of waste we generate, according to the U.S. Environmental Protection Agency. Together we can certainly recycle more and recycle right. There are many environmental and economic benefits of recycling, including saving energy, conserving natural resources, and reducing the need for landfill space. The RT Store is a home improvement thrift store dedicated to recycling, reusing, and re-purposing housing materials. We accept donations of new and used materials, and we encourage anyone to purchase from our store. Our inventory includes modern and vintage building materials, tools, hardware, lighting, plumbing fixtures & appliances, as well as some architectural salvage and furniture. As an organization based on green principles, we enjoy fostering efforts to recycle, reuse, and repurpose housing materials. Through the simple act of recycling (and buying recycled items), we can continue to build momentum for recycled materials, “giving our garbage another life.” At the RT Store, all proceeds support RTKC community service programs, providing sustainable revenue, as-well-as much needed equipment, supplies, and materials for home repairs and safety modification projects to improve the homes and lives of homeowners in need. However, it all starts with putting more of the right recyclable items in the right place – and committing to do so today and into the future. The RT Store also hosts a weekly scrap metal drive, accepting all types of household nonferrous metal (like aluminum, copper, brass and wire) and ferrous metal (metal that sticks to a magnet like iron, steel and autos), at our Liberty facility. With this in mind, and as America Recycles Day approaches on Nov. 15, RTKC and the RT Store wants to thank you for your efforts to recycle – at home, at work or school, and on the go. Join us in our effort to make the KC Northland environmentally and economically healthier by recycling more and recycling right.